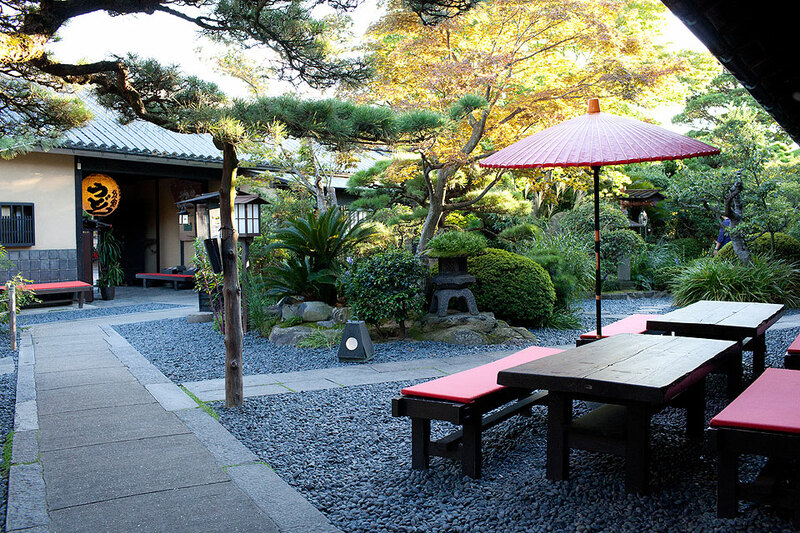 Most of my friends know I am very fond of Japan that I go there nearly annually. Yes, I have been there for many times but this trip to Shikoku is probably the most relaxing trip I had so far. Of course, it is relaxing because it is a rural part of Japan, which the government tries very hard to keep its most natural scenery by limiting development, but the most intriguing aspect of Shikoku is the modern architecture, most of it done by the Japanese master Tadao Ando. But a trip without good food is not really a trip. How can you starve yourself after spending much time going to a different place on the planet? 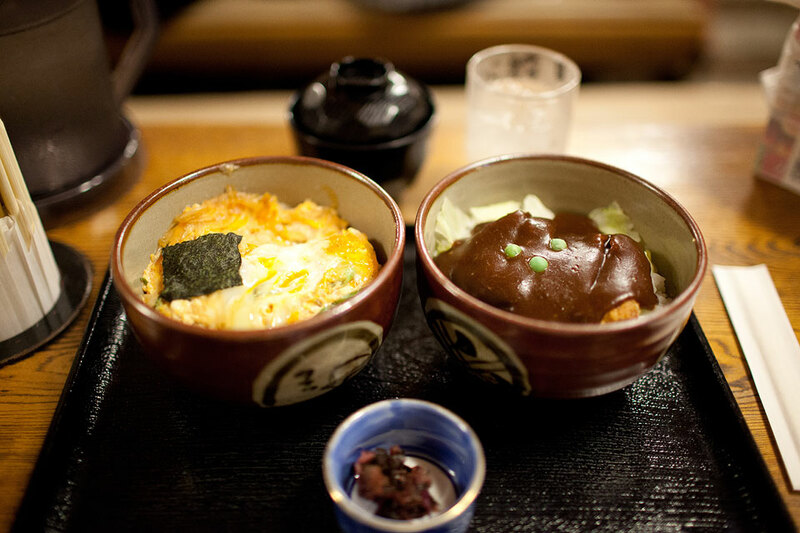 Shikoku has much to offer when it comes to delicacy, and thank god most of the awesome food is not that hard to find. 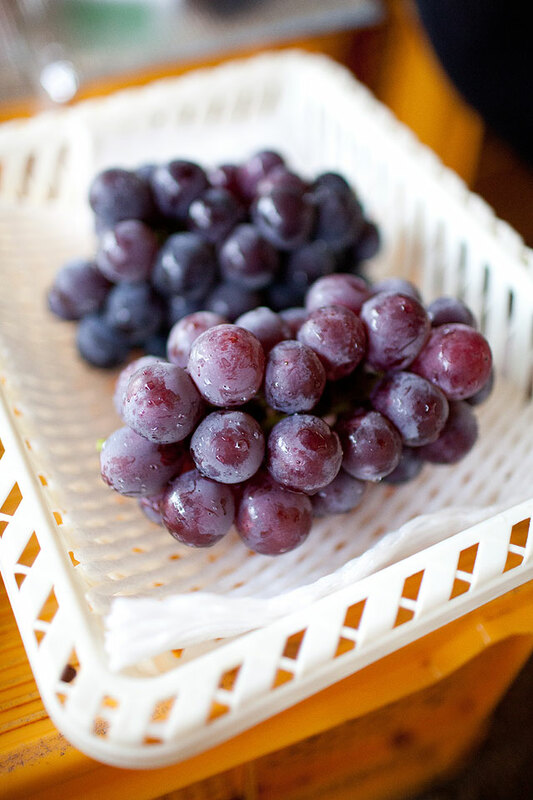 Before going to Shikoku from Osaka, we made a brief stop at Okayama 岡山, which is renowned for high quality fruits like peaches and grapes. 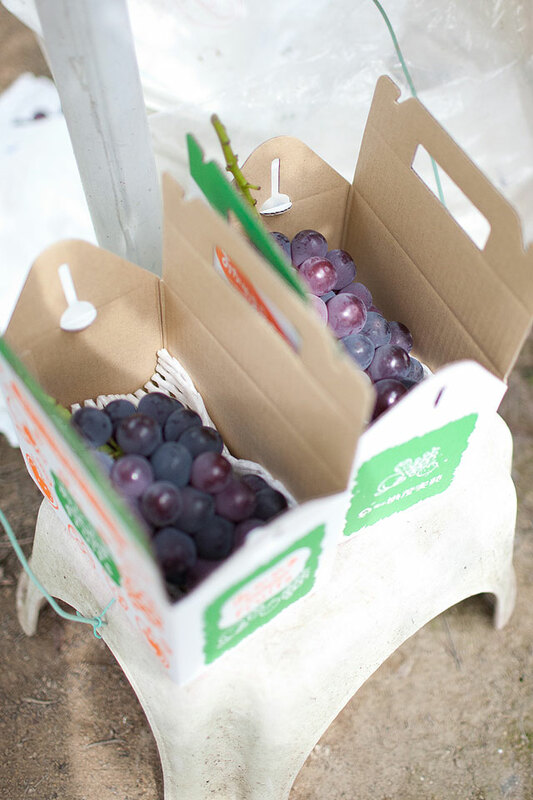 We went to one of the farms (桃茂実苑; on Google Maps) and picked our own grapes, and it was a fun hands-on experience! 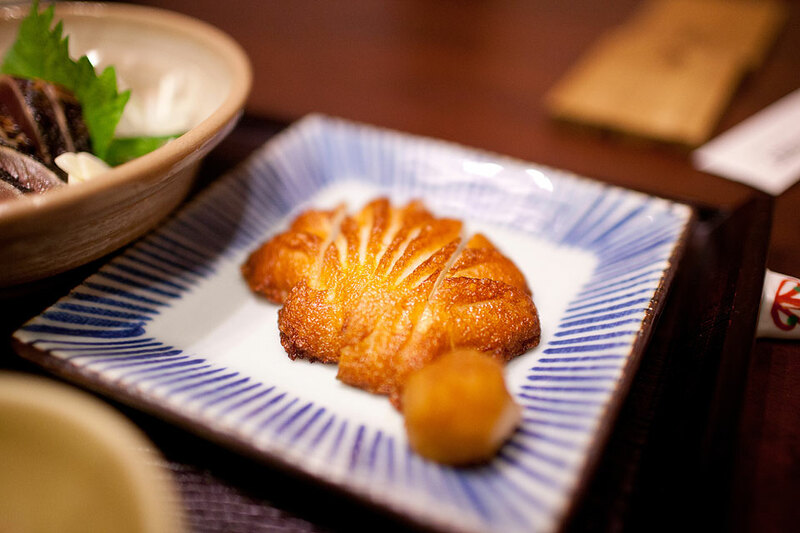 Tonkatsu is probably one of the most famous dishes in Japan, but how about a miso one? 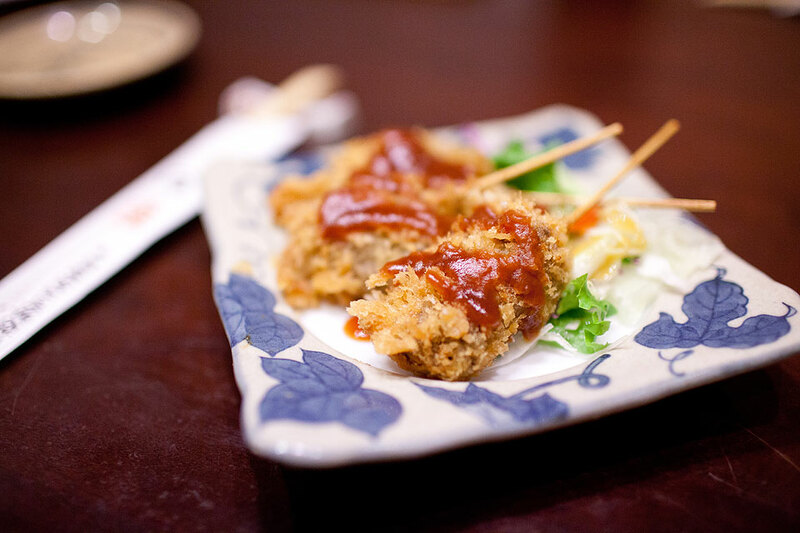 味司野村 (on Google Maps) offers you a twist to the usual tonkatsu meal by adding a thick miso sauce on top. The sauce however is not heavy as it looks. Definitely one of the best pork cutlets we had in Japan. That night, we had quick dinner at this place. We couldn't remember the name, but it was the shop right next to the zebra crossing. 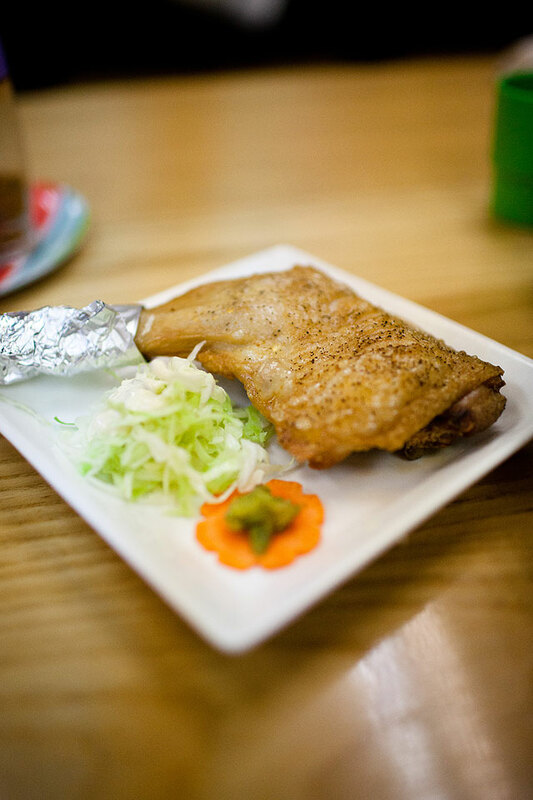 The udon is no doubt a must to have, but you cannot miss the chicken leg (骨付鳥). 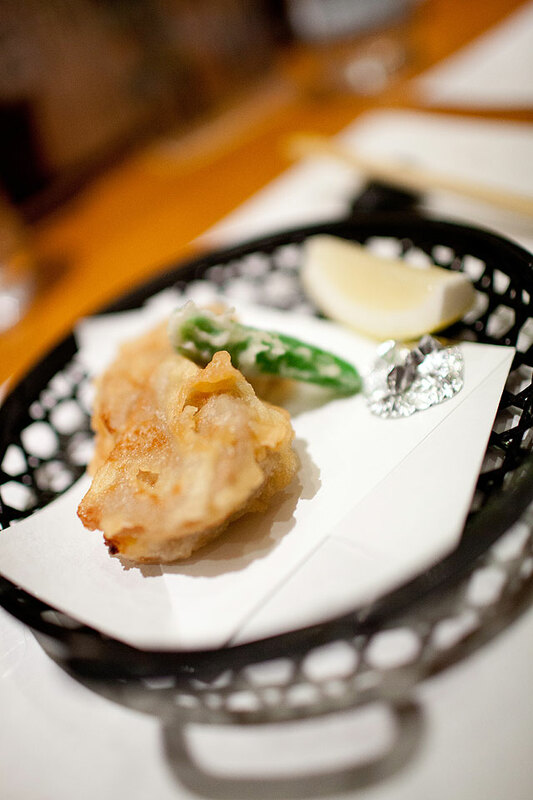 It is so crispy on the outside, while the inside is very soft. 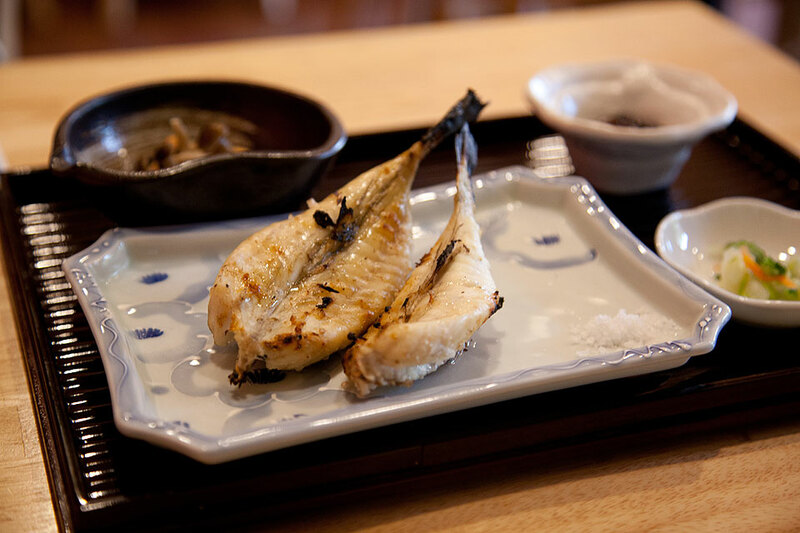 This is definitely the treasure of Takamatsu! 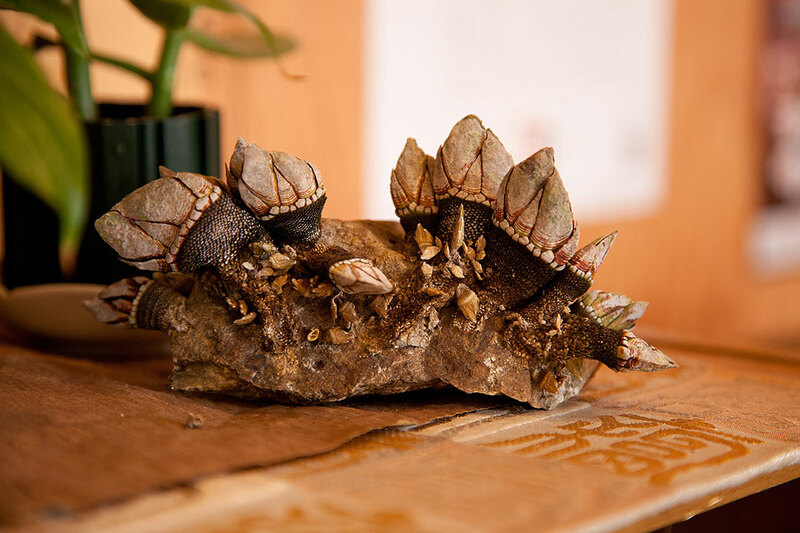 This is kamenote, or Japanese goose barnacle. 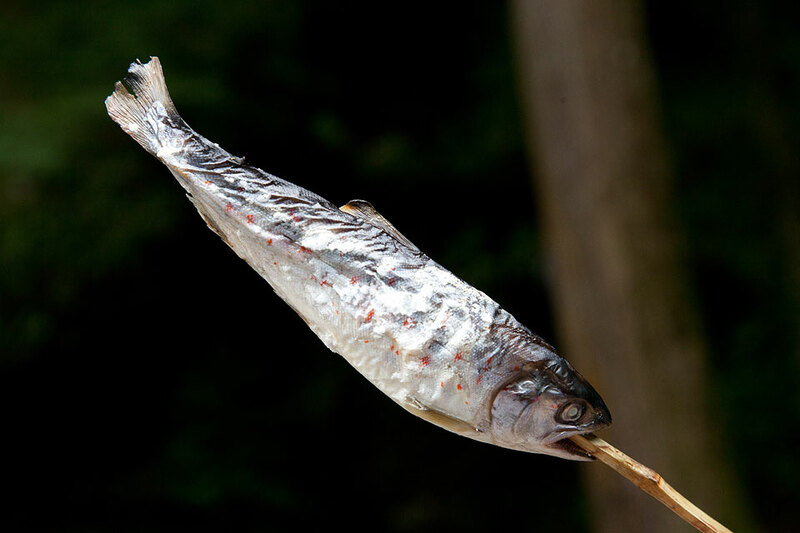 It is really ugly, but quite common in seafood markets of Japan. However, I don't find this tasty at all. It is just like tasteless shellfish. 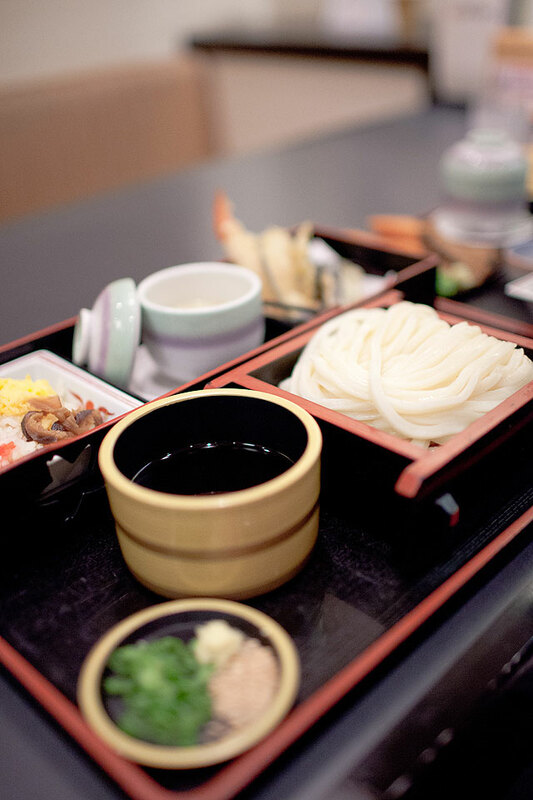 In Takamatsu, you can find quite a lot of udon places. There are cheap ones, where you can have a quick meal; or you can visit the other restaurants where you can eat comfortably with bigger sets. 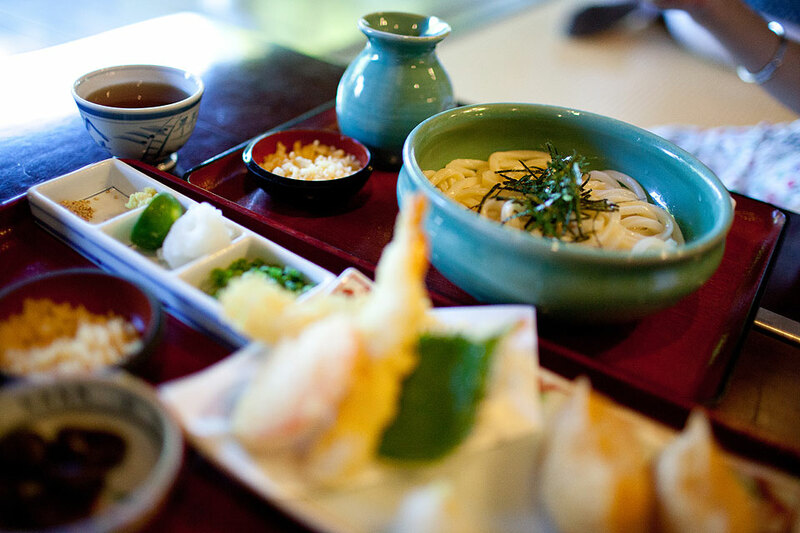 In both cases, the udon is still top-notch. 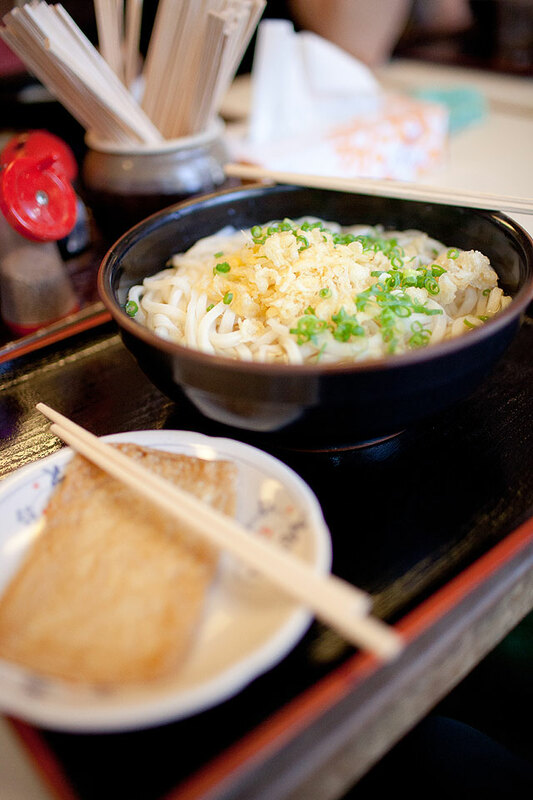 One of the udon places that you must visit is this, 手打十段うどんバカ一代 (Google Maps). 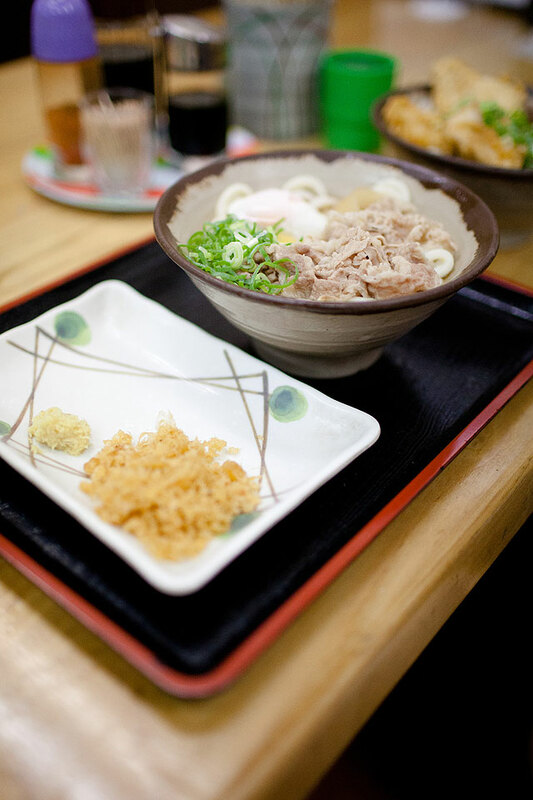 Here you can find the delicious udon with button on top, but we just have the typical one, which is very good already! 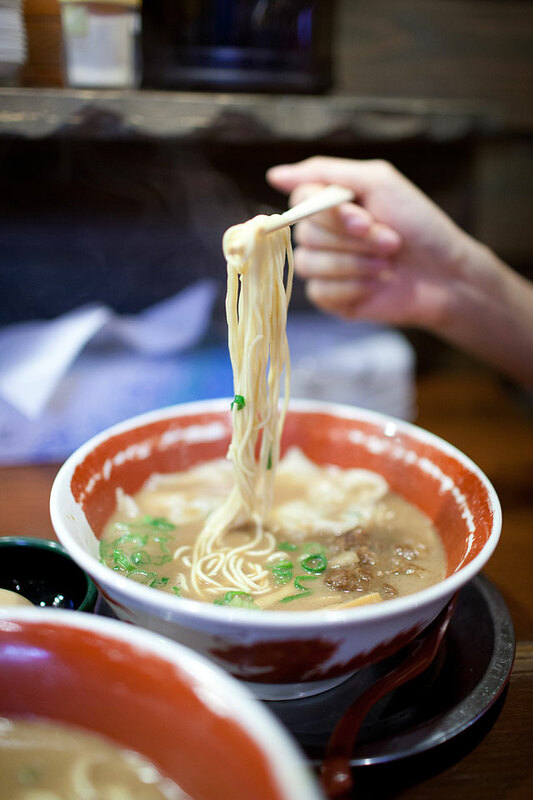 My advice is that do not choose big bowl, because even two people together will find it hard to finish it! 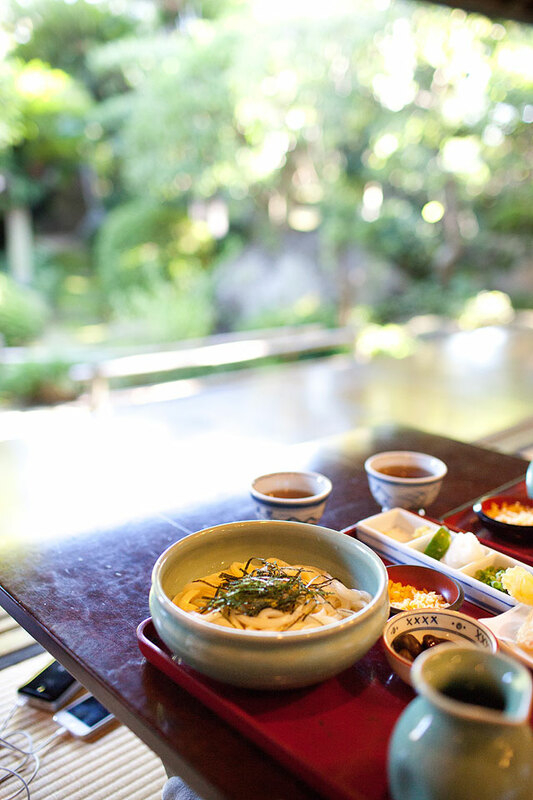 If you think you need a really tranquil place to enjoy a bowl of excellent udon, you should visit this remote place, うどん本陣山田家本店. We then took a train to Kochi, the southern part of Shikoku. 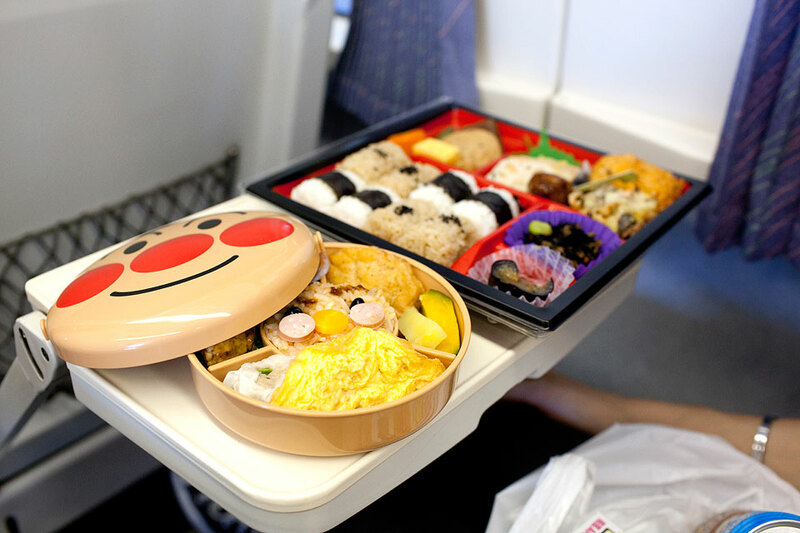 You will start to see a lot of Apanman faces, from train exterior to your bento box. The food market ひろめ市場店 is a wonderful place for affordable and tasty meals. 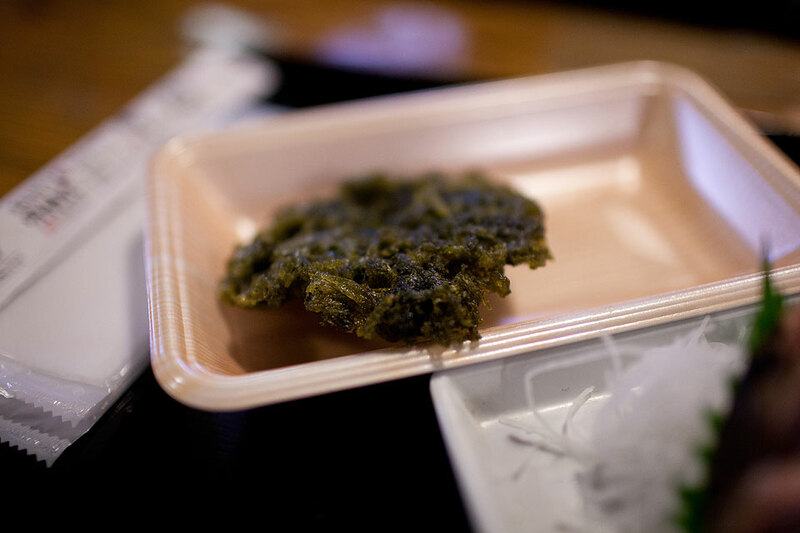 明神丸 is not a place to be missed, and you probably won't since it always has a long queue. 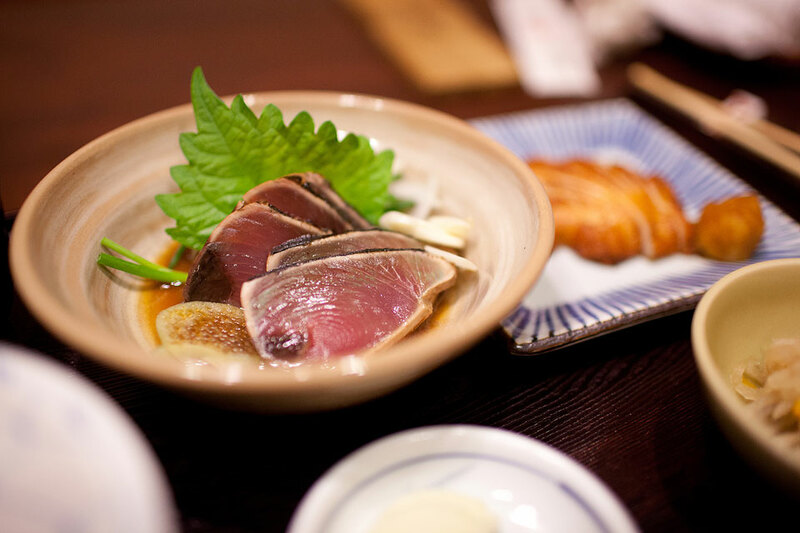 They sell one of the most famous seafood in Japan, the skipjack tuna (鰹魚), and seriously it is the best skipjack tuna I have so far, and this grilled salted skipjack tuna is surprisingly yummy! 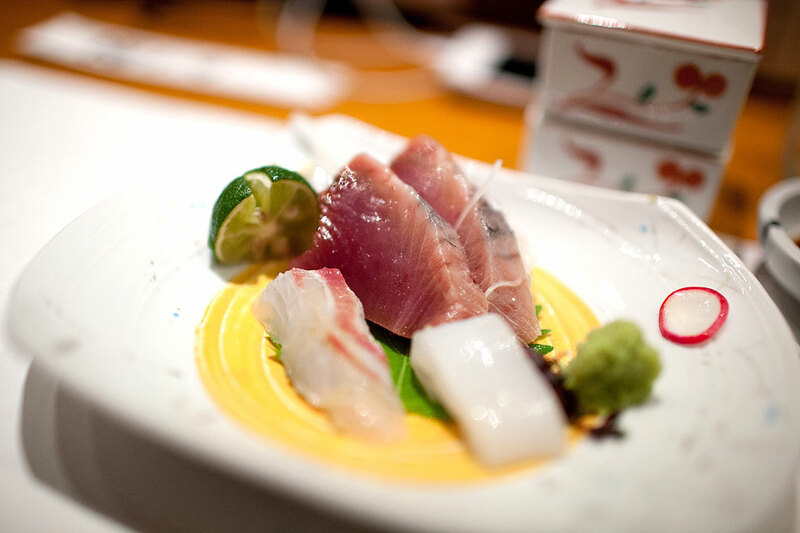 We went to another place for more skipjack tuna in the evening, and this time we chose 司高知本店. 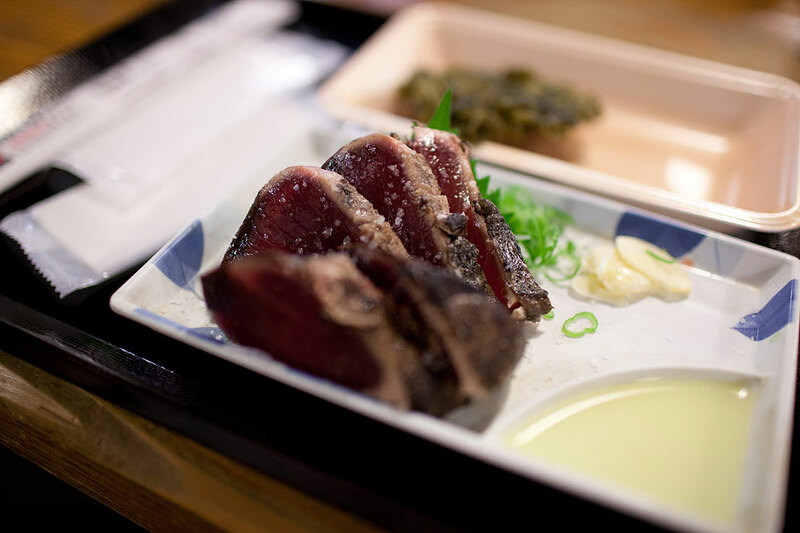 This is not chicken or beef, but whale meat. Do you think you can accept that? 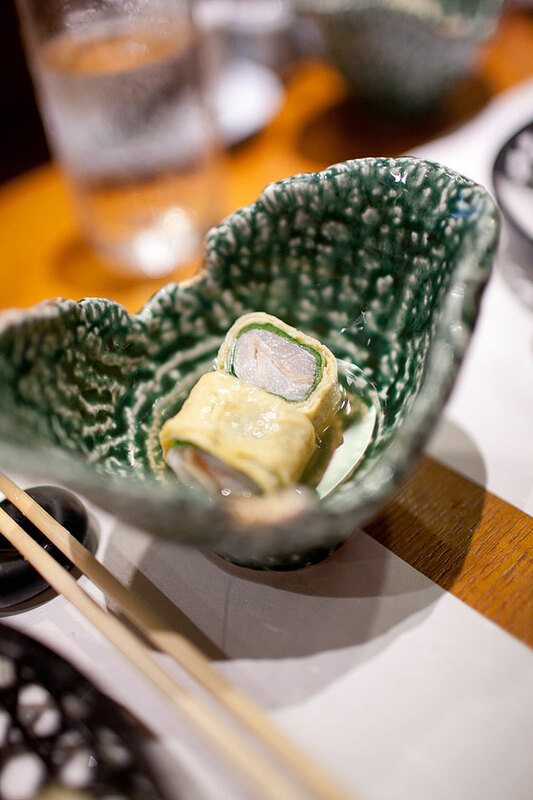 And this is fish ball in a clam shape, which is quite common in Japan. 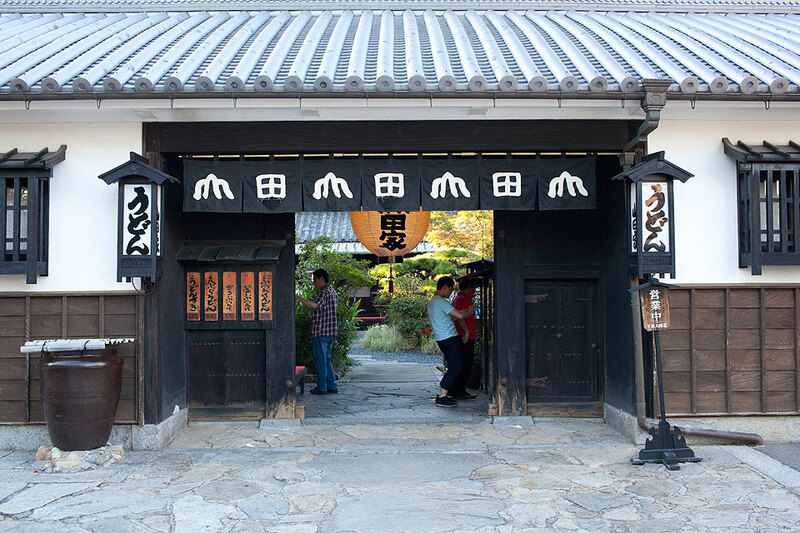 One of the most important sightseeing points is Oboke. 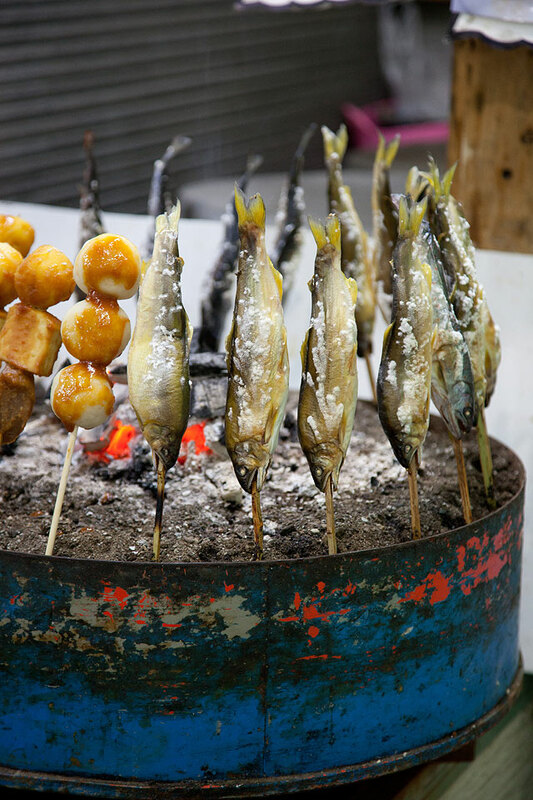 Along the river bank, you can find quite some snack stalls which sell these little fish. I strongly urgent you to try because they are unexpected delicious. 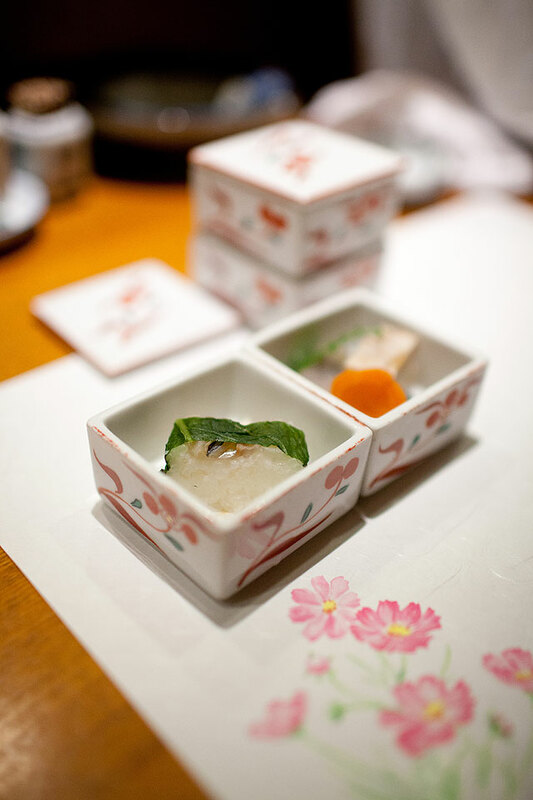 For the fish-ball-like items, they are not fish balls. They are sweet potata balls and tofu. 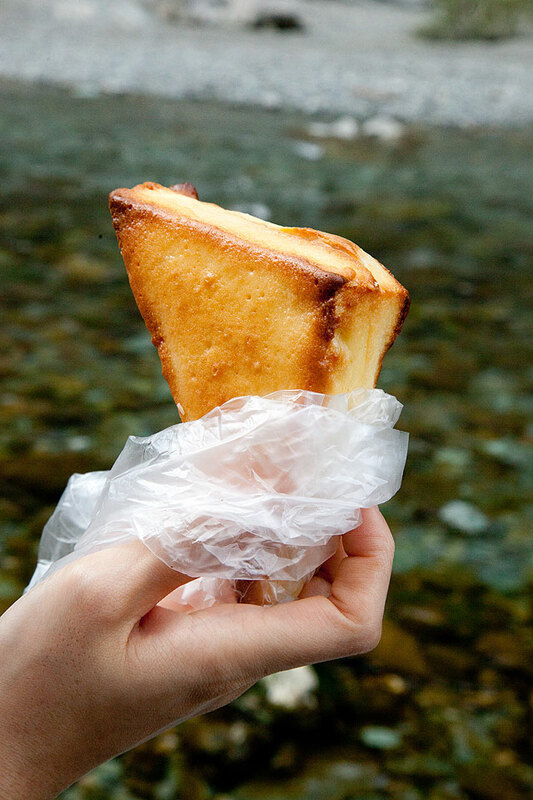 We brought our own snack too, and this piece of bread is my top favourite! 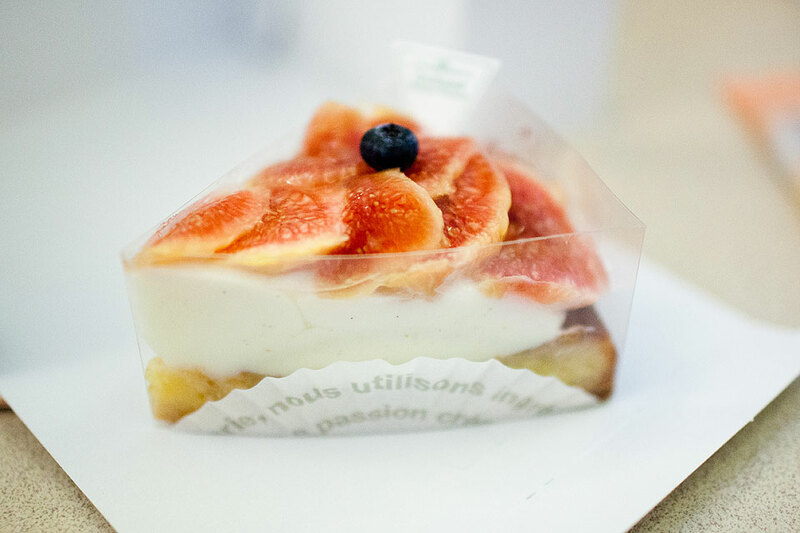 You can buy this from the Willie Winkie bakery found along the Shikoku JR line. This bread is just typical toast with cheese inside and sweet layer on the outside, but it is really a taste of heaven! 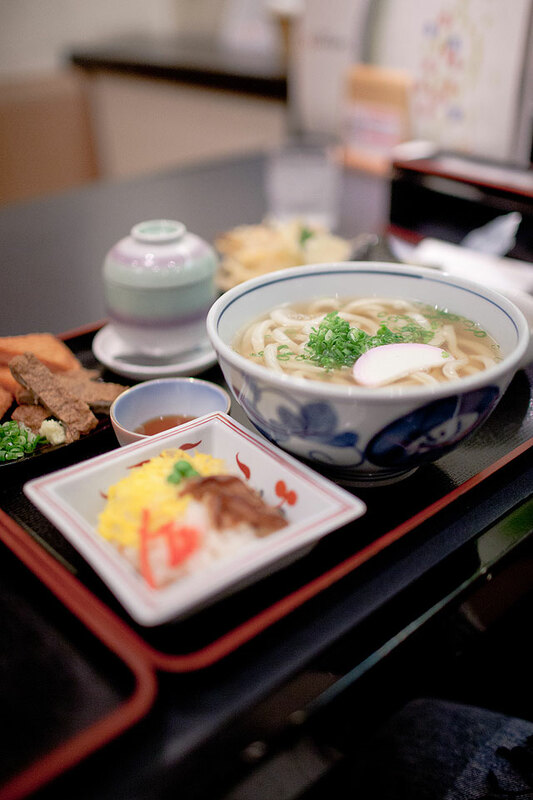 When you visit Shikoku, you know that udon is the spotlight as the people here make the best udon in Japan, but that doesn't mean you cannot find good ramen. When you visit Tokushima, make a stop at 徳島ラーメン麺王, because they sell extra-heavy soup that excites every tasting buds on your tongue. It is close to the train station too and so don't miss it! 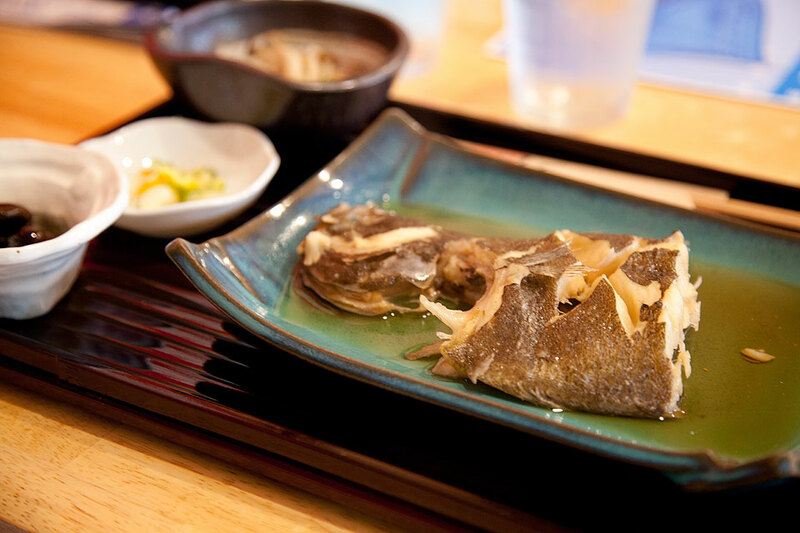 Tokushima is famous for their traditional sea bream meal, and we went to one of the high-class restaurants at the city center, とゝ喝. 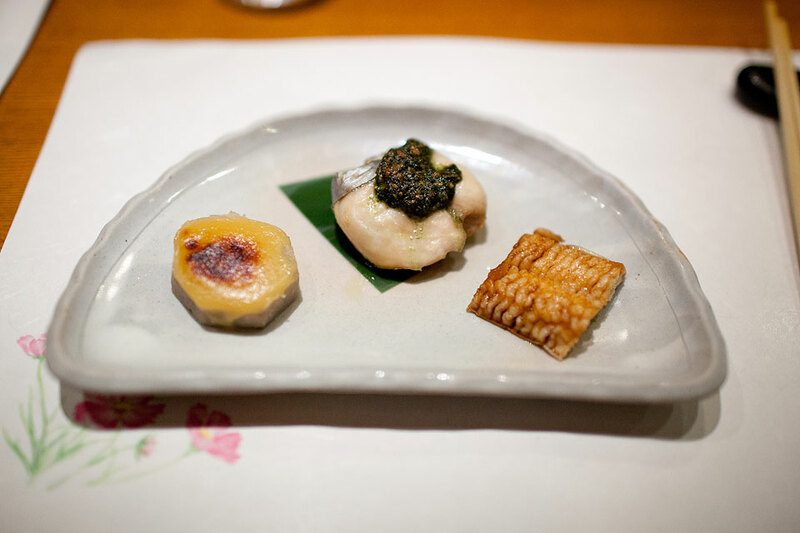 It is certainly a big meal, so it's better to visit earlier and have the dinner slowly. 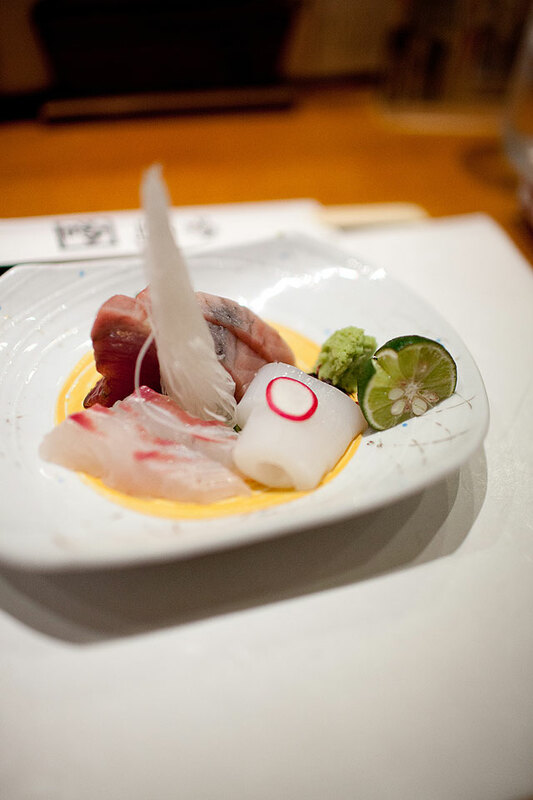 The meal starts with appetizers, sashimi, soup and then the main course with dessert at the end. Let's start! 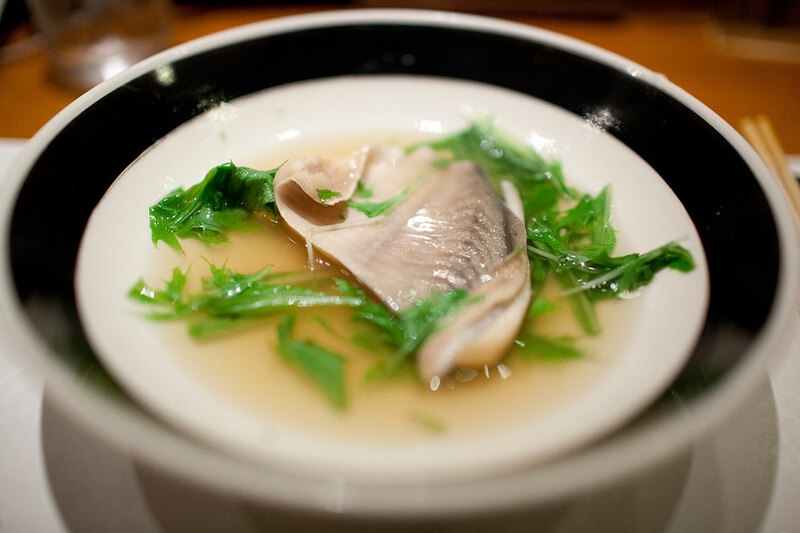 You probably won't expect such a big piece of fish in your soup, right? 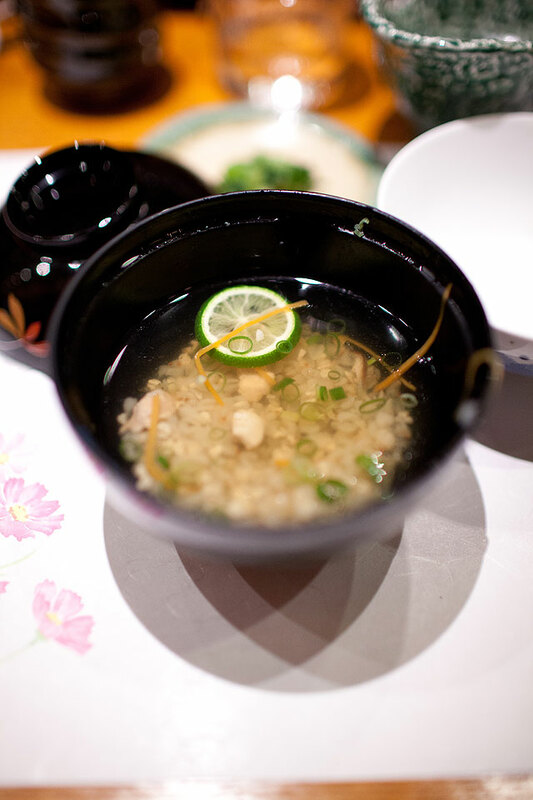 And this is the best Japanese fish soup I have ever had. And here is the sea bream! 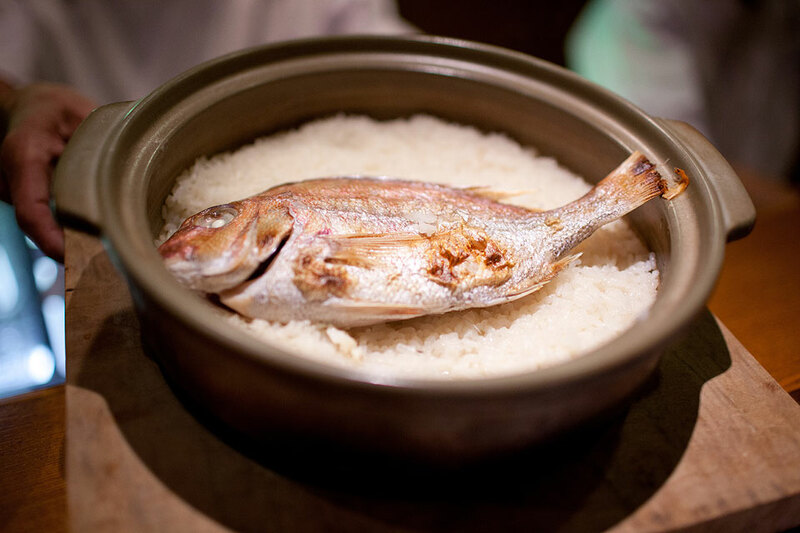 (鯛, technically red sea bream) And yes, it is a huge pot for two people! When they bring it out from the kitchen, they will present this to you, and then take out the meat from the fish and mix it with the rice. To be honest, this is good but not too exciting, and the skipjack tuna is much more tasty than this! 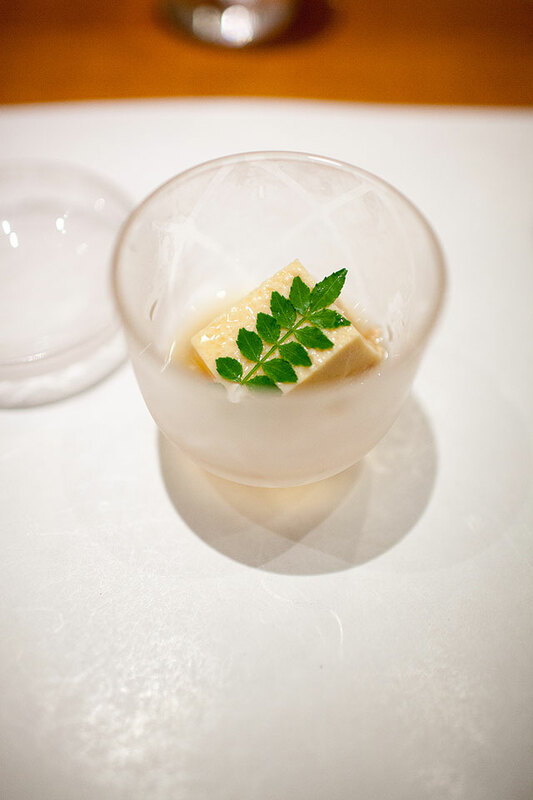 Before dessert is served, there is a small soup with little rice in it. It is very fresh and really helps clear your throat. So these are what we have during our trip in Shikoku. One of the best food I have not shown here is ice-cream! We eat one every day on avenge, and I must say that ice-cream in Japan is awesome! 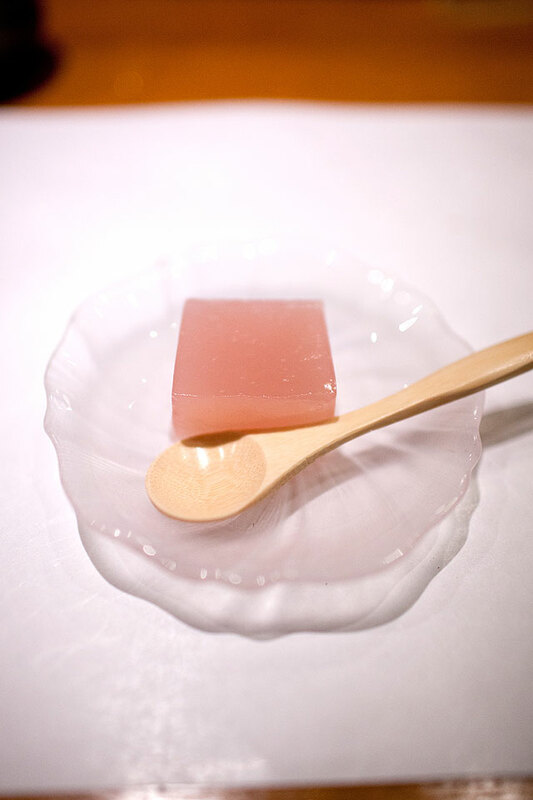 There are so many different kinds of flavour, including honey and plum. Be sure to get one when you walk by those little souvenir shops!